Hand Healing: Are you serious? Meaning ‘direct teachings’, this purely Japanese approach to energy healing is free from western New Age influences and takes a practical, treatment focused approach. Practitioners learn to observe the body’s natural healing response by paying attention to the sensations they feel in their hands when touching the receiver’s body. This helps to identify the problem areas where treatment is needed most, and an experienced practitioner can make assessments as to whether they are dealing with an acute or chronic problem, and on the frequency and length of sessions needed to have the best chances of improvement. This authentic form of Reiki healing has become available to Westerners through the Yamaguchi family. 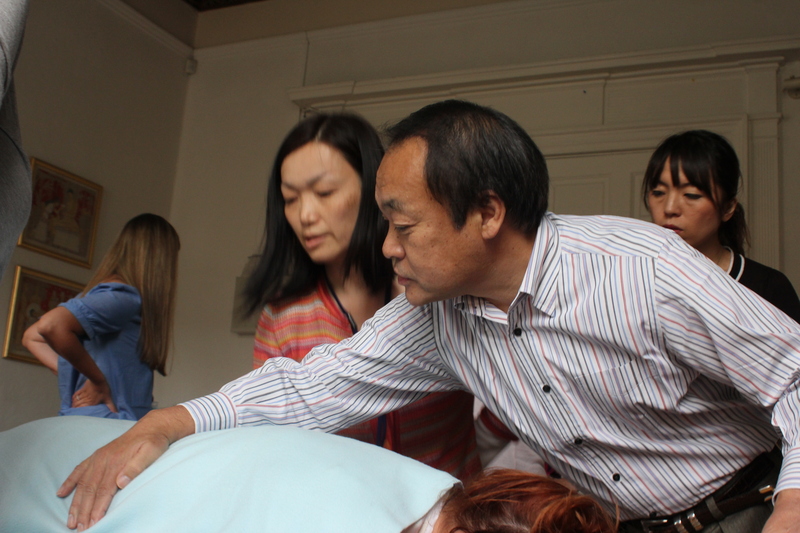 Tadao Yamaguchi, teaching in London and Edinburgh in September, has grown up with Reiki from childhood. Having seen conditions big and small improve with his mother’s and other family members’ healing skills – including illnesses as serious as tuberculosis, which in his mother’s youth was thought of as incurable – Reiki to Mr Yamaguchi is as natural as water and air. He insists that even beginners can use energy healing successfully. Tadao sensei’s mother, Chiyoko Yamaguchi, who had learned the healing art from Chujiro Hayashi at the tender age of 17 and had practised on a daily basis for over 65 years, used to stress that the Reiki coming from her and the Reiki coming from you and me is the same energy, and that perhaps the only advantage an experienced practitioner has is that they may feel the body’s healing response a little more easily. Mr Yamaguchi emphasizes that with lots of practice, any practitioner can get to this level within half a year or so. A big thanks to the Big Issue Scotland for first publishing my article in the 2013 Edinburgh Festival edition reaching thousands of readers. If even one or two are now curious about a healing modality that they may not have known much about or may not have previously considered, it will have been worth the effort. This entry was posted in Uncategorized by jikidenreikiscotland. Bookmark the permalink. Great article! I’ll happily pass it on. Thank you! Thanks Barbara, much appreciated! Let’s do our bit to help people discover this valuable natural healing resource!